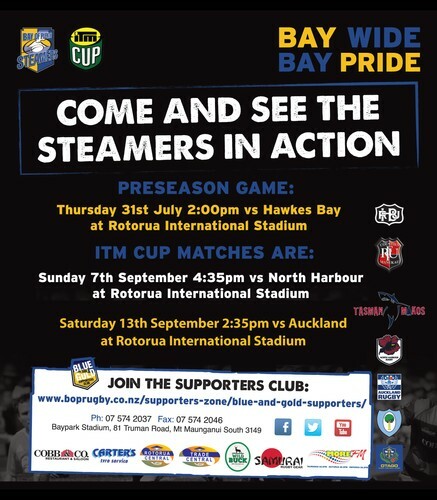 Come along to the Rotorua International Stadium for this ITM Cup match up between our very own Bay of Plenty Steamers and North Harbour. Bring the whole family along... a great way to spend Father's Day! Ticketing information to come... check back here again soon.